GDPR compliance for marketers made easy. Our goal is to help online businesses simplify consent collection without impacting conversion rates, sales, or time spent managing everything. Know who’s from the EU. 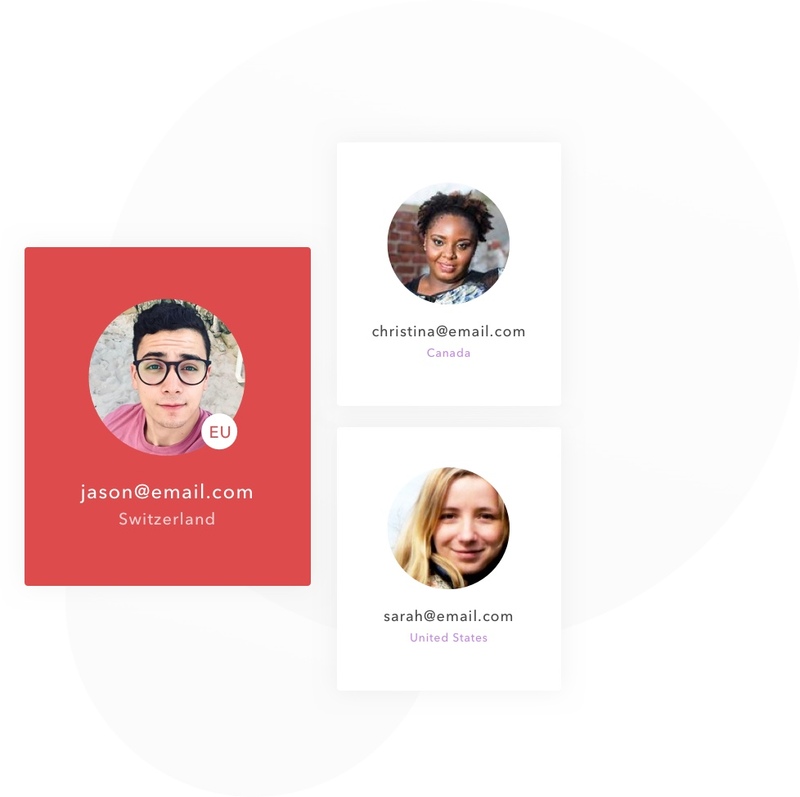 As people join your email list, we’ll let you know where they’re from so you can adjust your communication with them. Instantly collect consent on ALL your forms. 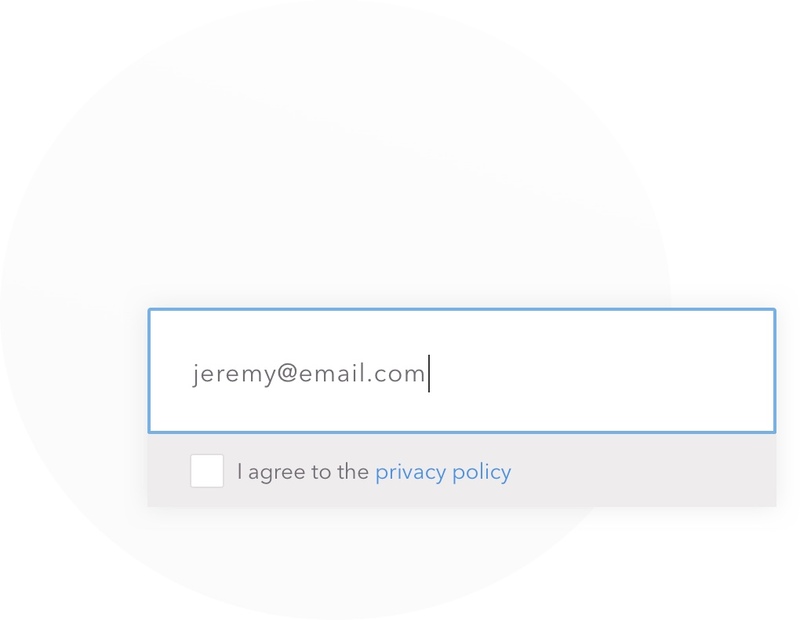 Whenever a user is entering information on your site Consentiful can add consent notices and checkboxes, automatically. Only show for EU visitors. Set certain checkboxes to collect consent for EU visitors. This way you keep your conversion rates as high as possible and only collect consent when necessary! Keep your other tools smart. Consentiful talks to your existing marketing and CRM tools so you can continue to run your business like you always have. Just add a small piece of code to all your sites/pages and we’ll handle the rest! GDPR has risks to US-based businesses, we’re focused on helping mitigate those risks so you can continue to run your business how you always have. * billed annually during beta. Do you offer a monthly billing option? During the beta of Consentiful we’re only offering an annual option. However, we will be adding a monthly option in the near future! Is the price of Consentiful going to change? Yes, BUT… when you create an account while we’re still in beta and keep your subscription active you’re grandfathered into that pricing for life! Does Consentiful work with my CRM or marketing software? All our integrations are ran through Zapier so as long as your software supports Zapier everything should work perfectly! Can I make Consentiful only show for EU visitors? Yep! You’re able to choose who you want to require consent from. 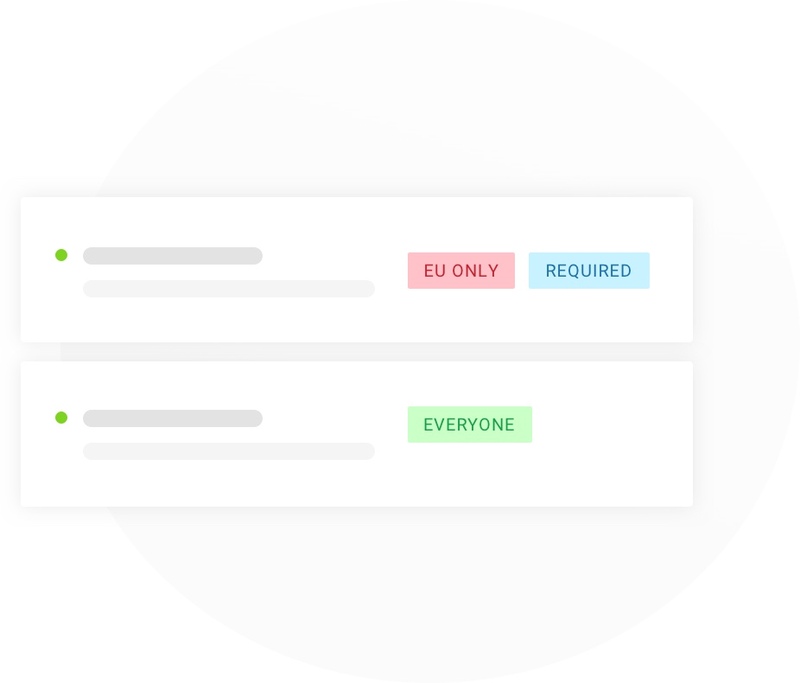 GDPR Shield is Consentiful’s FREE technology allowing you to redirect EU visitors to a page letting them know that this website is unavailable to them. No, we currently do not accept PayPal for account subscriptions.